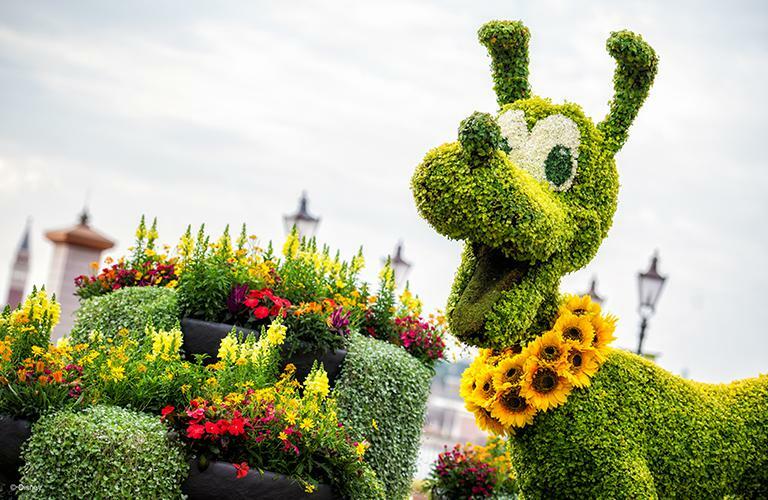 Whether your thumb is bright green or you simply enjoy being surrounded by nature’s beauty, the 25th Annual 2018 Epcot® International Flower & Garden Festival, February 28 through May 28, is pure delight for all your senses. See gorgeous gardens and indulge your taste buds with fresh culinary treats created by Epcot® Chefs. Give your ears a treat and listen to some live music Friday – Monday at the America Gardens Theatre. And romp with the family in interactive playgrounds designed to let kids of all ages experience nature in fresh, fun ways. But among the most beloved and popular sights you absolutely won’t want to miss are the 50 or more topiaries of Disney and Pixar Characters. It’s amazing what happens when art meets greenery. And each time we attend this festival, we wonder “how do they do that?” so we asked Eric Darden, Horticulturist for Epcot® Park if he’d share a few secrets. “It can take more than six months to create a new topiary,” says Darden. “Each one is a unique work of Disney art. First the Disney Character Artists create dozens of sketches of poses. They are key to everything.” Once a final pose is approved, a Disney sculptor creates a maquette (a small sculpture) which is turned into a casting that becomes the reference point for the next step. 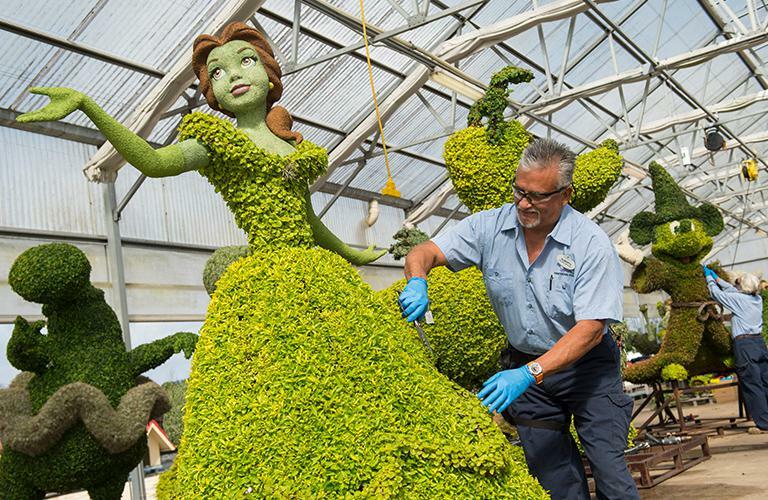 “Topiaries take a long time to make,” Darden says. “So we take very, very good care of them. This year, many favorites, which have been on hiatus for several years, will be returning including a 14-foot-high Goofy at the entrance to Epcot® Park. Keep your eyes open for Stitch, Figment, Mickey, Minnie, Lightning McQueen and Cruz Ramirez from Cars 3. And that’s just a start. We love trying to spot them all!